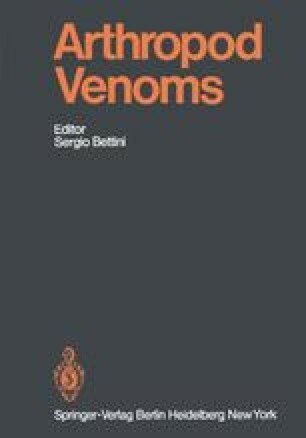 As pointed out in the “Introduction to Venomous Arthropod Systematics“, all spiders are, strictly speaking, poisonous, with the sole exception of the small family of Uloboridae, which has secondarily lost its poison; the substitutive glandular apparatus has been studied by Glatz (1969). The authors’ names ar placed in alphabetical order. The first is responsible mainly for the toxicological information, the second for that on the systematics and biology of the spider groups.